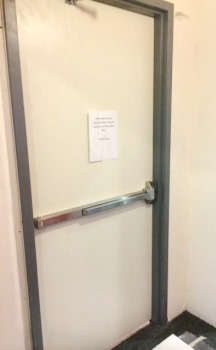 For people with doors in your commercial establishment or house which need to be serviced or installed, King Door and Lock has got the most effective door installation Frederick County, MD support. We are able to help with any residential doors or commercial doors you would like repaired, installed, or replaced in MD. We have got several years of experience in door repair and home security. Furthermore, we only hire skilled door techs. Our company features efficient and speedy assistance at rates which are hard to beat. Our business customers are grateful for our ’round the clock expert door services for emergency needs. Businesses count on doors as a safety measure. In case an automated door fails, alarm systems are sure to go off. Equally, when someone attempts to destroy a lockset on a storefront entry door, King Door and Lock will come to fix the entrance door right away. In the event that automated doors malfunction, we will be there quickly to restore the functionality of these doors. We also install fire-proof doors to fulfill zoning rules and city codes. King Door and Lock Maryland and DC stands out in installing and fixing garage doors. Our qualified 24/7 door services are made to meet your needs. This is important in the event your garage door is unable to work properly. Often, a damaged garage door is caused by a motor or sensor breaking. If you cannot get your car or truck out of your garage, contact King Door and Lock today for fast and friendly service. For customers who happen to be purchasing an existing residence, door repair is a typical request. Door hinge repair and door jamb repair are typical requests from homeowners. This is especially true for new homeowners. More often than not, they’re fixing up a residence which was taken care of badly by earlier owners. It’s also true for those who own historical residences. Upgrades need to be made to meet modern day standards and King Door and Lock Maryland and DC is your trusted door installation Frederick County Maryland service provider! For customers who are creating the house of their dreams, let us aid in entry door replacement. Our company is experienced and can replace and fix both exterior and interior doors for your brand new home. 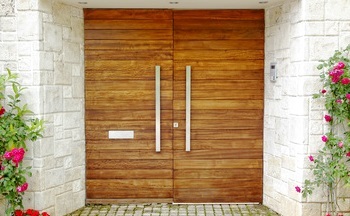 Furthermore, we supply a number of different styles and colors of doors. We provide you with glass doors, classic French doors, conventional wooden doors, and many more. Our up front pricing policy means that we notify you what the price will be before commencing any work. By doing this, you’ll be able to budget how much your door repair/replacement/repair will cost. Our friendly and fast staff is standing by 24/7 to respond to any concerns you might have. Furthermore, we gladly provide you with a full collection of door hardware. We’ve got a wide selection of door knobs, door handles, door locks, deadbolts, and even more. We provide you with premium door services and we’re able to deal with all of your door installation and repair needs. For those who have any door installation Frederick County queries, we can easily come to your rescue. Regardless of if you want assistance with residential or commercial doors, phone King Door and Lock . Let our efficient and effective, expert staff aid you with all your door queries. We even offer free estimates on our website and over the telephone. Get In Touch With King Door and Lock . High Quality Door Installation Frederick County MD Service! Door Installation Frederick County, MD Service by King Door and Lock https://kingdoorandlock.com/maryland-door-installation/frederick-county/ 4.3/5 based upon 29 reviews.